SAN FRANCISCO (Reuters) - A senior executive said Microsoft Corp <MSFT.O> thoroughly investigates issues raised by women in the workplace and fired about 20 employees last year over complaints of sexual harassment as the company seeks to counter claims that it treats female workers unfairly. In an email to employees publicly released late on Thursday, Microsoft Chief People Officer Kathleen Hogan said Microsoft had 83 harassment complaints in 2017 out of a U.S.-based workforce of over 65,000 employees. Nearly 50 percent were found to be supported at least in part following an investigation, she said, and more than half of those resulted in the termination of an employee who engaged in unacceptable behavior. The unusual publication of such data comes as the world's largest software company is defending a lawsuit which alleges it systematically denied pay raises or promotions to women. Microsoft denies it has ever had such a policy. Microsoft also investigated 84 complaints of gender discrimination last year, Hogan said, and found around 10 percent of those to be supported at least in part. Earlier this week, Reuters reported on the contents of unsealed court documents which showed that out of 118 gender discrimination complaints filed by women in U.S.-based technical jobs at Microsoft between 2010 and 2016, only one was deemed "founded" by the company. 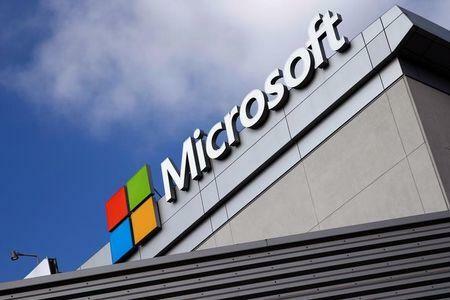 Attorneys for the women described the number of complaints as "shocking" in the court filings, and said the response by Microsoft's investigations team was "lackluster." Hogan's email on Thursday linked to the Reuters story and said the numbers cited by plaintiffs were misleading. "Reports that we rarely reach a conclusion in favor of the complainant are based on a faulty reading of a partial data set," Hogan wrote. Hogan's email did not provide additional figures about the time period cited in the court documents. The plaintiffs based their numbers on documents disclosed by Microsoft during pre-trial discovery in the lawsuit. Kelly Dermody, an attorney for the plaintiffs, declined to comment on Hogan's email. Alaina Percival, chief executive of Women Who Code, an organization that helps companies increase their number of women developers, said publicly releasing this kind of data can help businesses learn from each other about the best ways to handle sexual harassment and gender discrimination. "I think other tech companies should follow suit, and I would expect to see that happen," Percival said.